We are first and foremost a family business. Everyone who works with us is part of the team. Each of us has different skills but we all have an interest and experience in horticulture. Paul set up his own garden maintenance business when he left school at sixteen and has not looked back since. He still looks after several of those customers from the early days. Over the years he has built up a vast knowledge of plants, how to grow them and maintain them. He and Ruth set up the nursery at the farm in 2003. He thrives on hard work and is always looking for fresh challenges and opportunities. He deals with every aspect of the nursery. His current ‘best bits’ are his firewood service and being out amongst his beloved Christmas trees! 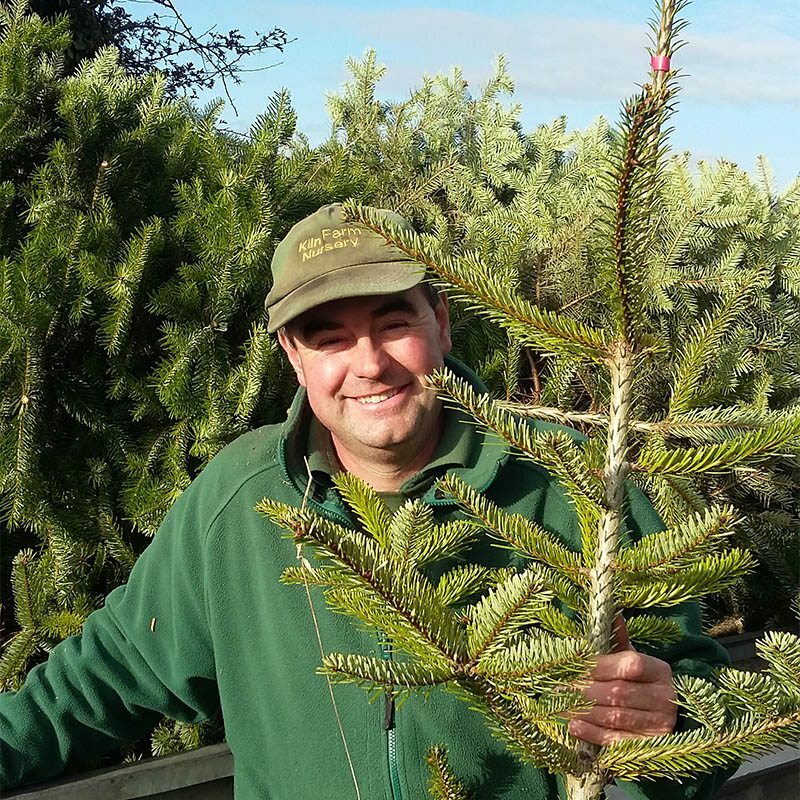 He is proud to be a member of the British Christmas Tree Growers Association and the Horticultural Trades Association. Ruth feels fortunate to have grown up on Kiln Farm. The nursery brings together many of the things she loves most, her husband, nature, meeting people and creativity. One of her favourite roles is to work through the ideas that people have for their gardens and suggest appropriate plants, another is to plant up the hanging baskets. Ruth adds the feminine touch and ensures that the ‘family’ stays in ‘family run’. She believes that it is important to include all sections of the community in gardening and outdoor life from small children to the elderly. The paperwork sometimes takes her away from the nursery work but she tries to do that on the rainy days! She is currently enjoying writing about gardening in the Suffolk Magazine. Aydan has a degree in Landscape and Garden Design. He has high aspirations of one day exhibiting as a designer at top shows. He loves helping people achieve their vision of what they want in their garden with plants. He has always been someone with plenty of energy and enthusiasm and this comes through when he is helping our customers. He has fond memories of gardening alongside his grandad. Watch out for the tame robin that follows him around the nursery. John is from a long established farming family. They farm at Henley and we have known him for many years as he delivered their Happy Hens Eggs. He hates having his photo taken so we have substituted this one . 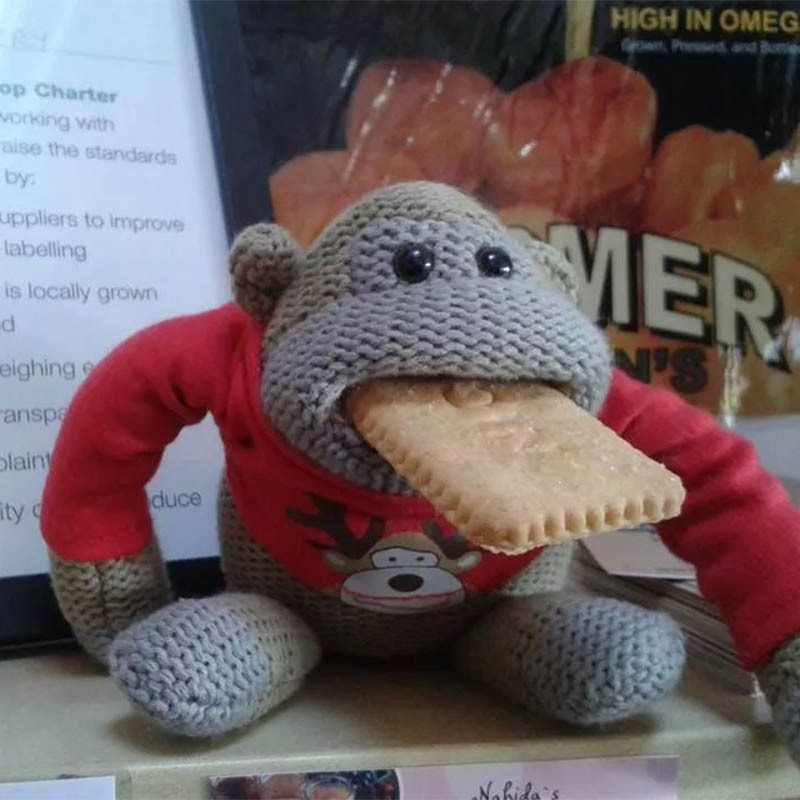 . . . . he does like his biscuits! 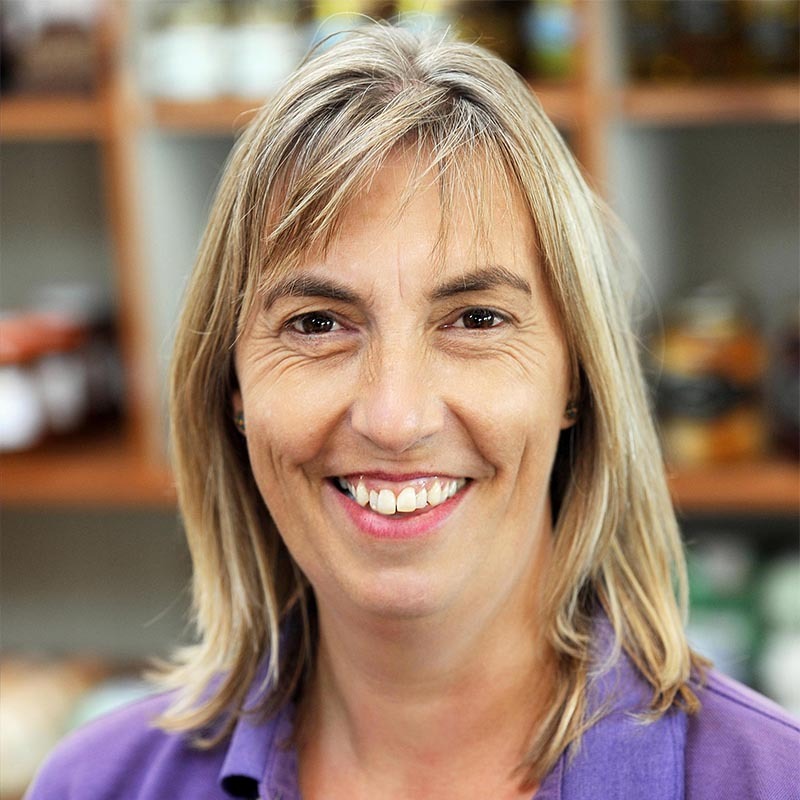 After nearly 20 years cooped up in an office Marie is relishing working outdoors and in the farm shop. She loves gardening and is qualified as a florist. You can find her in the polytunnel during December making Christmas wreaths. Her dream is to one day transform her garden and grow her own flowers but football mad children currently lay claim to it! She loves container gardening and has a successful wildlife area. She also has a portfolio of her floristry work by ‘Flowerbugg’ in the shop for you to take a look at and order arrangements from her. We find that we really miss her when she goes on holiday as we cannot manage without her tidying and cleaning skills. She keeps us all ship shape! Chris is the youngest member of the team. He studied an Extended Diploma in Horticulture at Otley and came highly recommended. He had won several awards on the course. When we met him and he said he had a ‘passion for plants’ we knew he would fit right in here! He says he loves planting up winter pots and summer baskets and keeping the nursery tidy and we have certainly noticed a difference in the potting shed and polytunnels since he has been with us. Paul’s brother, David, grows lots of the vegetables for us on the front field and is the producer of the famous field grown wall flowers. In summer you will find him in his polytunnel. We also call this the Tardis as it seems impossible that so much bedding comes out of such a small space! He also works doing garden maintenance and finds that there are never enough hours in the day. His grand old lady labrador, Katie, is sadly missed. But meet his new addition this Christmas – Holly! We are delighted that he and his long standing girlfriend Karen were married in 2016. You might say that she is long suffering too since he has her planting bedding in her time off from being a school teacher! There’s nothing like working for love! Among other things Bruce spent twelve years running a mobile green grocery business. He is a constant source of knowledge and advice. He just can’t stop working and is always around the nursery either out in the field, doing maintenance or sorting out the vegetables. Hazel’s marmalade, which she has made all her married life, is a firm favourite in the shop. Hazel has always supported Bruce and both her sons in all they have done. This has involved lots of potting up and weighing up. Some things never change! Ralph is the farm manager at Kiln Farm. Usually he has lots of work to do out on the farm but he always finds time to help us out at the nursery. If it were not for him we would not be selling our own lamb in the farm shop. He is the one who rears and looks after the lambs. We could not manage without his cooperation and help. If we need anything mechanical built or fixed or moved or mended then he is the ‘man who can!’ You may well meet him when you buy a Christmas tree and you may see his tractor on our front field. 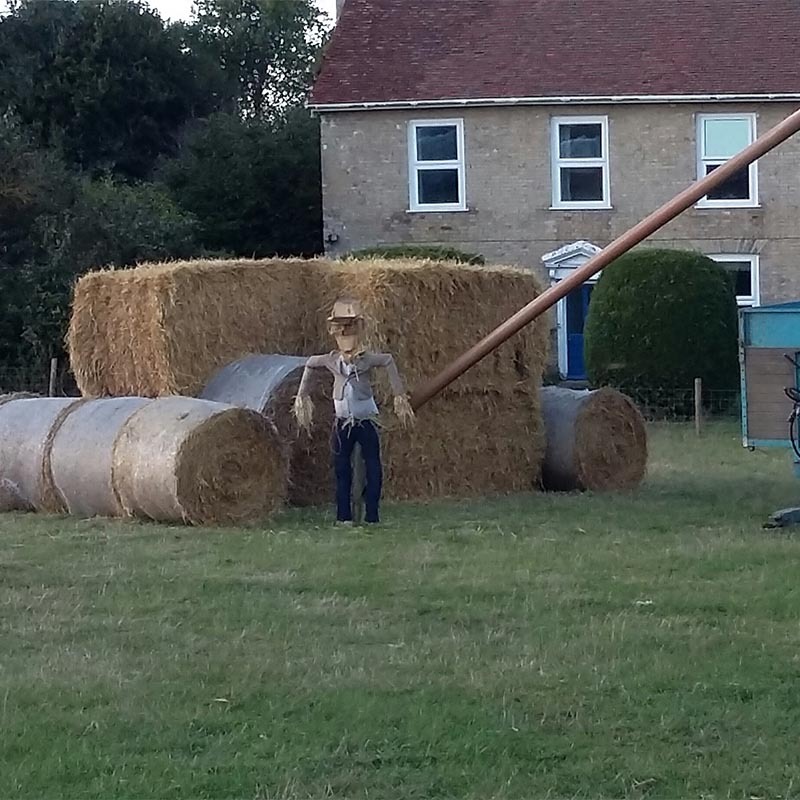 Last year he built this fantastic ‘Scarecrow Installation’ for our Scarecrow Festival. Ruth’s parents are actively involved with the farming business which has been in Kesgrave for three generations and also includes Ruth’s sister, Elizabeth. They have always supported the nursery. On a practical level Ann spends the whole of December making evergreen wreaths. John takes a break from sugarbeet harvesting to help with Christmas tree sales.